You are here: Home / Blog / Notes on Soccer: Is “The Game the Best Teacher”? 10.06.15Notes on Soccer: Is “The Game the Best Teacher”? 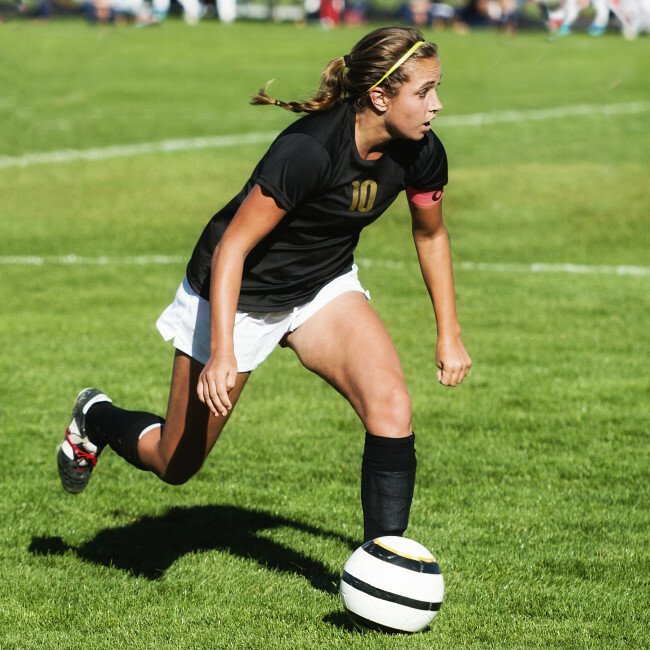 The phrase “The Game is the Best Teacher” is popular among soccer coaches. In many ways I understand why; it’s pithy and has an element of truth to it. But as this recent post by Paul Cammarata points out it’s not fully true and is often misapplied. My colleague Chris Condron, a student of the game, brought it’s wide usage to my attention a few years ago and we’ve had a bunch of conversations about it, including a few including Tom McCabe. These motivated me to write something on the topic. So… is ‘the game the best teacher’? First, let’s note that the phrase is beneficial in that it reminds us that both playing games and often playing “games” informally without specific instruction (i.e. pick up) are an important part of learning … they provide players with a venue where unpredictable challenges emerge and must be solved. That can help give rise to new thinking, creative decision making, and sometimes boldness and confidence in the face of challenge. Those things are important and often missing in the game. More informal forms of play (pick up) are also nice because they are “risk free”—kids can try stuff. But teaching and learning are complex, and there are problems with the phrase too. First, how much you learn when faced with a series of complex problems correlates to how much you already know. If you have a deep reserve of skills you can draw on and if you know the principles of the game (which decisions are smart, generally, and why) your problem solving is more likely to be successful. This relies not only on your knowing those things but having them deeply learned enough that they are in your long term memory and therefore don’t require active processing capacity. As soon as you have to think about how and whether to do it, it is likely to not only be too slow to work well in a game but to crowd out other thinking because what you can keep in working memory is very limited. This is a consistent finding of cognitive science. Problem solving requires deep knowledge. This is why you and I are still waiting for our first sudden insight on particle physics. So in short, the synergy is: learn your concepts and skills in training and you use them, problem solve with them, in the game. The degree to which the game teaches you correlates directly to how much you already know and how deeply you know it. But it’s actually more complex than that, because the degree to which a “game” teaches depends not only upon your own existing knowledge but also that of the people you are playing with. This allows for coordinated, group problem solving. Without coordinated interactions the teaching is pretty limited. We’ve all played in the pickup game where half the guys didn’t know what they were doing with the ball or how to mark a man and the game devolved into randomness where no one was able to problem solve and grow much. So you learn when you play in correlation to 1) how much you already know 2) how much your teammates around you know and 3) often how much you and they are mutually aware that you all know certain things in common. That is, you know that I am likely to see the space behind the defender and break into that space. Therefore you are looking to put the ball there. If I make the run I am rewarded for a smart move. But if you don’t know that, I will make the run and not get the ball. I will not receive reinforcement for a smart decision. What the game teaches me will be false. The problem was a) that most of the decisions the girls were making were wrong b) they had no criteria to know whether they’d made correct or poor decisions and so they never learned from their mistakes and c) their wrong decisions had a huge tax on the group’s overall development. Girls persistently lost the ball when they should have kept it, effectively distributing touches from our team to the other team AND making the game non-logical. One player on the team constantly made runs into space to receive the ball. Time and again the other girls would fail to see her so she would almost never get the ball. She should have been learning that those runs were excellent via the inherent reward of receiving the ball as a result (or how to make them better if she didn’t) but the system of reinforcement was broken. It was contingent on the other players knowing what to do and they didn’t. So she stopped making her runs. Why should she? They were never rewarded. There had been no teaching of the principles of the game. Girls looked up at her and wondered what she was doing running around like that while they were dribbling. The game was in fact a terrible teacher for her team. It made them worse. No knowledge; no learning from experience. Dave Chesler, Director of Coaching Development for US Soccer, who is a strong advocate for the importance of instilling problem solving, might (I’d guess) go a step further and add that the game is a better teacher when players are taught decision making cues: When I decide whether to do something in a game, what are the things I should look for and think about? Then, when you know have skills and knowledge, yes, go experiment. Or better put, as you learn skills and knowledge, test it with experiment. But the more you know the more you gain from exploring and the faster you grow from the game’s teaching. That problem solving is part of the process, not the whole process and valuable as it is, its value decreases if you try to rely on it too much. Still I understand why people like the phrase for one other reason. When they use it what they often mean is “coaches talk too much.” Undeniably that is often true, and if “hands off just let them play” were the only possible alternative they might be right. But well trained coaches who know how to make a point quickly (or to decide no to make it) and then get kids back to playing belie that as a false choice. Because some adults talk too much does not mean we should give up on the important role of teaching in the game. It means we should do it better. People often cite the development of players in unstructured environments as a proof point for the idea that the game is the best teacher: “Look at the kids in the favelas; they don’t run drills; they just play. And Brazil has the best teams in the world. Why not just replicate that?” But this kind of statement brings up another limitation of the game as a teacher—it is a ruthless one. Let’s consider first that kids in the favelas grow up with an inherently stronger knowledge base of the game than kids in the US; more knowledge base makes the informal play more useful. Still, most of the kids who “make it” from the favelas start there but then get tapped by clubs and get lots of systematic training; the ones who make it from there are often the ones who can bridge both worlds (play the game in a joyful improvisational way and be a part of a system of responsibilities and selflessness). 3) Most kids from favelas don’t make it, in fact. The game, as a teacher, is ruthless. She’s willing to let a thousand kids fail so one brilliant kid can rise. For coaches who are educators, the responsibility is, I think, to try to make every kid as “better” as we can. I think this is especially relevant because research increasingly suggests that the kids who show early are not often the best kids once maturation etc. are all done. So developing the full array of kids in important because we never quite know who’s going to end up the best. So while the phrase has some truth to it, it’s also dangerous- it suggests an either or choice that’s just not real and allows us to justify not doing the intentional, methodical part of teaching the game that ironically makes the game’s teaching valuable.